ALBANY, NY—Reminiscing about the departed matriarch while partaking in the annual festivities, members of the Osterman family sadly marked their first 4/20 since the passing of their grandmother, sources reported Thursday. Family members wistfully told reporters that grandmother Joan Osterman, who passed away last October at the age of 83, heartily enjoyed the revelry of 4/20 every year, recalling how the elderly woman always had the kindest, dankest nugs and the sweetest perma-grin on her face after ripping a huge bong hit. 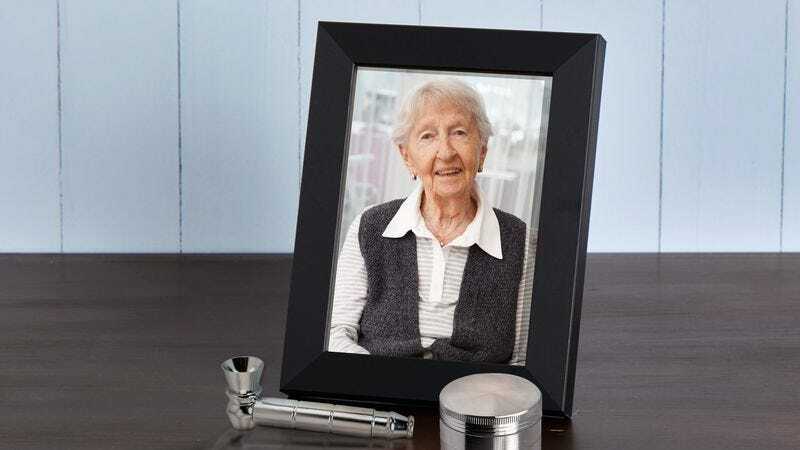 Other family members agreed that it was hard not to be overwhelmed with emotions on 4/20 when catching a glimpse of their grandmother’s favorite brand of rolling papers or her cobalt blue glass pipe, which they said induced a flood of memories of their departed loved one. “Still, as long as her strain of sour diesel is growing out in the backyard, it’s like there’s still a part of her with us,” added Osterman, wiping away a tear.